What’s Halloween season without sitting ’round the campfire sharing spooky stories? 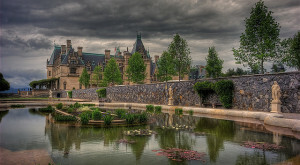 While there’s plenty of ghost stories that resonate around hotels, landmarks, and even railroad tracks throughout North Carolina…there’s something more ominous about urban legends. They not only fit the ‘ghost’ category, but the monster category, the category of unexplained phenomena awakening a deeper sense of fear. 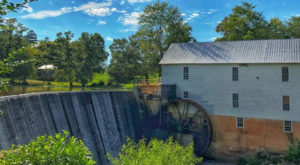 From a lake monster and a ‘beast’ that will chase down your car, to unexplained orbs of light appearing above the mountaintops; these six urban legends in North Carolina are stories that deserve to be told…time and time again. As the largest manmade lake in North Carolina, sometimes it's hard to comprehend just how far the depths of Lake Norman go. 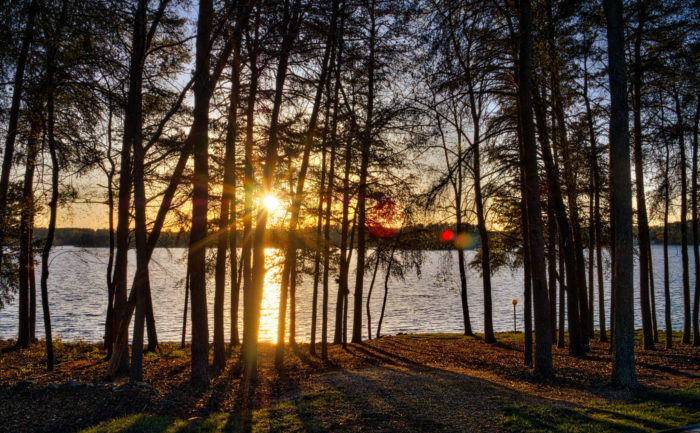 Formed between 1959 and 1964, Lake Norman has been referred to as the "inland sea" of North Carolina and includes 500 miles of shoreline, spans 50 square miles, four counties, and covers 32,000 acres. During its creation, several existing structures were not demolished but instead flooded, forever hiding beneath the water. 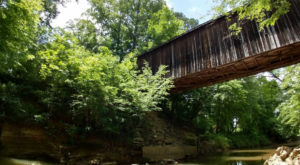 Those include John D. Graham's Elm Wood plantation home, rumored graves where only headstones were removed, and the partially demolished Beatties Ford Bridge and 150 Catawba Bridge. 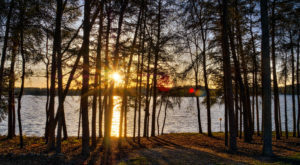 While many spend a warm summer day boating, swimming, and enjoying the beautiful waters of Lake Norman - some have had that day ruined by a 'monster fish' sighting. The first accounts of 'Normie' were reported 40 years ago. The 'scaly,' larger-than-life-fish has been seen over 50 times since. Speculation about the monster has grown so much that Normie even has a whole website dedicated to its existence where people share their harrowing accounts. While some sightings go full outlandish, comparing Normie to the famed Loch Ness Monster, others reel in the reality aspect, speculating it's a breeding population of alligator gar or a misunderstood, giant catfish. Whatever Normie might be, it's hard to believe there's not some sort of monster fish lurking in the depths. Read our full story on Normie with witness accounts here. It seems the rumored 'chupacabra' is tied to an urban legend in almost every state, with North Carolina being no different. In 1954, a large number of livestock and animal mutilations and deaths had Bladenboro residents in shock, questioning how this could happen in a quiet, small town. Cattle, sheep, and even horses were found with their jaw either broken or removed. One eerie connection was that each animal had the blood completely drained from their bodies. Witness reports described the beast resembling a panther or overgrown cat. 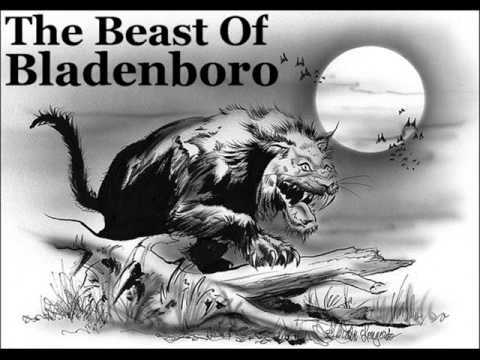 The town banded together, pledging to hunt and kill the 'Beast of Blandenboro' that was stalking animals and leaving townspeople sleepless, yet no results turned up. For 50 years Bladenboro was free of the horrendous attacks. While many told the story, it grew into a myth-like legend and some even forgot completely. Until 2006 when similar attacks began again. Reports rumored the same 'panther or overgrown cat' with animals being found in the same condition as when the beast first appeared in 1954. 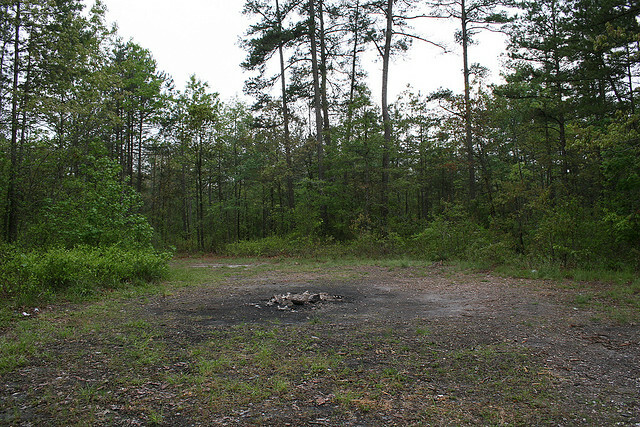 Perhaps one of the first North Carolina legends passed down is that of the Devil's Tramping Ground. Located in Chatham County near Bear Creek, for hundreds of years this scorched circle in the middle of the woods has left everyone from scientists to ghost hunters perplexed. The 40 ft. circle is completely absent of life. Nothing will grow here. Leave something in the circle overnight and it will be thrown out of the circle by morning. Of course a place like this has grown to epic levels of notoriety. People say the scorched land is where the devil enters the earth, pacing and even dancing around the circle while plotting his evil. 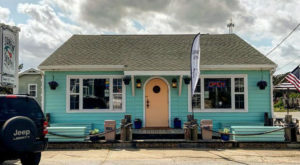 Stories even date back to the Revolutionary War, long before the establishment of Chatham County. While the land possesses a strange vibe during day, some even brave it out, camping in the circle overnight. Those who have lasted past nightfall claim to see strange figures lurking in the woods and others saying they never feel 'sane' again. Even if you try to bring a four-legged friend, many dogs will bark at the circle, refusing to get close. What exactly is the Devil's Tramping Ground? Maybe we'll never know, but that's also part of the fun and mystery of one of the most famous urban legends in the state. Since I was young, I've absolutely loved old wives' tales and mountain stories with this one being my favorite. It starts in the 1870s in McDowell County. A young George Feller, and his wife, Kathy are living a peaceful existence contingent upon farming and agriculture. During that time, farming was the prime source of income for most families in the are and while the Fellers were prosperous, Kathy suffered from extreme bouts of asthma which prevented her from helping on the farm and leading a normal life. One late night, George appeared on a neighbor's doorstep, frantic, the words he was speaking barely audible beneath the sobs. He proclaimed Kathy had an asthma attack and with the closest doctor miles away, he needed help immediately. When George and the neighbors arrived, Kathy had passed away. Next to her, their infant son was curled up beside her body. "You can not bury this woman, she has been murdered!" As the crowd stood in shock, the man continued. "I don't know any of you, I live in Yancey County. But I had a dream last night that on my way into McDowell County, I would meet the funeral procession of a woman killed by her husband. This is the party I saw in my dream. The same carriage, the same coffin. Unless you have an examination made, you leave me no choice but to tell the law. Everyone stood in shock, frozen, unable to move. While some thought the man simply crazy, others argued over the question of how he knew it was a young woman's body in the coffin. Ultimately, superstition sometimes wins. Kathy's body was further examined, revealing that she had in fact died from pressure applied to the outside of her body and not from an asthma attack. Eventually, George confessed, saying they had a heated, terrible argument the night of her death and he choked her with a leather belt. Later, George was hanged, but today, this mountain tale of a 'message in a dream' is still widely told and known. 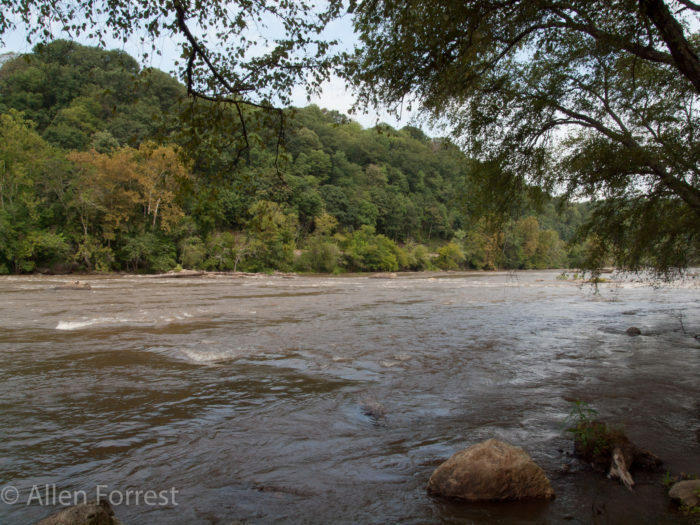 The French Broad is both beautiful and deadly. A place many spend a nice afternoon cruising along in an inner tube or kayak, the unexpected currents have also claimed lives. Yet, the unpredictable waters are not the only thing to fear here. 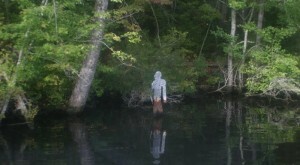 Since 1845, the legend of a 'river siren' has been rumored. The woman is said to be olive skinned, with long, dark flowing hair and a beautiful face. Before the time of satellites, GPS, and even reliable maps, many explorers would follow the river as they made treks from Point A to Point B. The river siren took advantage of this, calling to and charming the men for days at a time. At first, she appears in their dreams. Then, she steps in and out of consciousness, lucid memories manifesting into reality of a beautiful seductress rising from the water, naked, tempting them to come closer and closer. Eventually, dreams become reality. Men find themselves staring into pools of water, forgetting hours or days while they wander aimlessly searching for her. Once she has her prey completely hypnotized, knee-deep in the current, she rises from the water with her smooth skin transforming into scaly, cold flesh. Before they can quite comprehend just what is happening, they are yanked into the water by a monster. While 'sirens' are often told in terms of the sea or ocean, this urban legend is a fascinating one. 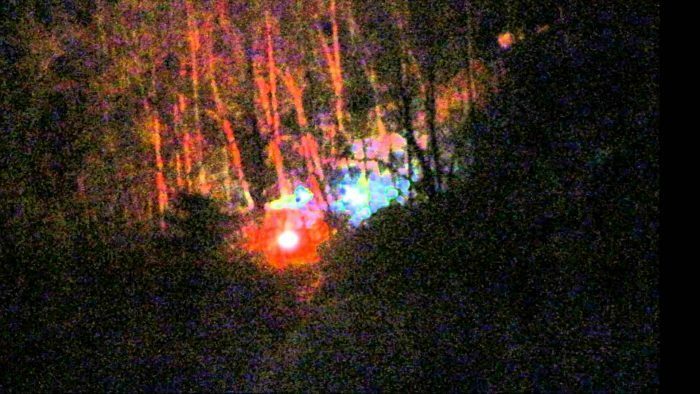 While many of these urban legends are rooted in superstition, folklore and words alone; the Brown Mountain Lights are a truly unexplained phenomena you can witness with your own two eyes. For years, visitors have parked at the Brown Mountain Overlook late at night, waiting for the moment the orbs rise above the trees, dancing above the mountaintops. They appear in different sizes and colors. Park rangers who have served in this area for years have even more harrowing accounts. Some claim the lights to have a sort of 'intelligence' almost following onlookers while never getting too close. Another, rare, account involves a man reaching out to touch the light. Immediately, he collapsed to the ground, not even remembering why he was there or what just happened. Just like reports of UFO abductions, the victims seems to simply 'come-to' with days passing although it had seemed just a second ago they were driving along in their car on a lonely, dark highway. Exactly what the lights are is highly debated, scientist claim it to be 'marsh gas,' with hikers reporting an overwhelming, 'swamp like, sulfur smell.' Of course, others cite aliens or even lingering spirits from a great Native American battle that occurred in the area. Whatever they may be, we might never know. 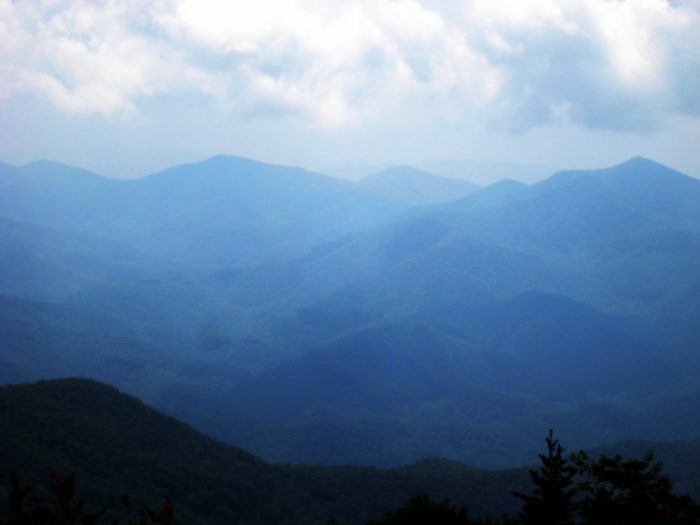 One guaranteed fact is that if you visit the Brown Mountain overlook enough times, you can see them for yourself. Urban legends are so much fun to both hear and tell. Who doesn’t love a good spooky story? Move over ghosts, it seems there are more eerie things that go bump in the night. 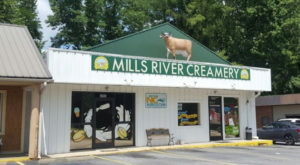 What are some of your favorite North Carolina urban legends? While ghosts are certainly spooky, something even more haunting is a ghost town. Looking for a fun, Halloween weekend idea? How about following our road trip through North Carolina’s most haunting ghost towns.